The Municipal Art Society of New York (MAS) supports the Sutton Place rezoning proposal, which would prevent out-of-scale supertall towers from being built in this relatively low-rise neighborhood. We applaud the East River Fifties Alliance (ERFA) for creating a model for local stakeholders seeking to influence and improve the zoning of their communities. We are particularly pleased to see the proposal incorporate affordable housing goals, however, we urge the City to work with ERFA and the co-applicants to arrive at an even stronger affordability requirement. The Sutton Place neighborhood of Manhattan. Photo: Wikimedia Commons, Patrick Nouhailler. The ERFA proposal is the culmination of an extended, community-based initiative supported by Manhattan Borough President Gale Brewer, Council Members Ben Kallos and Dan Garodnick, and NYS Senator Liz Krueger. To protect the low-rise character of the neighborhood, the ERFA proposal would set height limits on future construction at 260 feet including FAR bonuses and allow developers a maximum of 13 FAR for residential uses with Inclusionary Housing and a 1.0 FAR for community facilities. The project would add 92 affordable housing units in a neighborhood with a median household income of almost $130,000 and provide approximately 84,000 sf of new community facility uses. MAS has long advocated for sound planning practices and increased transparency with regard to land use decisions that affect communities. Through community visioning, educational workshops, leadership development, and online resources, for ten years our Livable Neighborhoods Program (LNP) has assisted New Yorkers who seek a larger role in shaping change in their neighborhoods. Public participation is a fundamental component of successful planning and is critical to achieving a more equitable and livable city. The ERFA proposal represents sound community planning measures which embody the concerns of the people who live and work in this neighborhood. They have created a blueprint for managing future development and framing critical land use decisions going forward. The current R10 zoning district regulations leave Sutton Place vulnerable to the development of supertalls, which move forward without being subject to the City’s land use and environmental review processes. 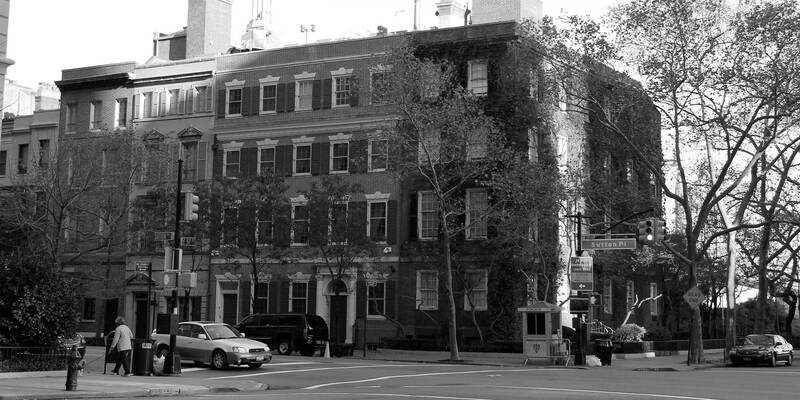 Developments such as the one proposed on East 58th Street and others in the project area have the potential to drastically and permanently change the character of neighborhoods by casting shadows on parks and the public realm, blocking critical view corridors and available light, disrupting consistent urban design, and puncturing the skyline. It is important to note that the proposal is not singularly focused on out-of-scale development. The façade articulation requirement under the plan would help promote variations in street wall design for new development and improve sightlines in the area. The proposal would also add fifty-two new affordable units and almost 80,000 sf of new community facilities in a growing neighborhood. While we support the proposal, we feel it may be improved by an increase in affordable housing. The plan would require developers to set aside 13 percent of their buildings’ residential floor area at or below 80 percent of the AMI The median household income for the census tracts in the project area is approximately $128,000. The average household size in the project area is 1.7. For a household of two, 80 percent of the AMI is $58,000. Because almost 22 percent of the project area’s households earn less than $58,000, we urge the City to work with ERFA and the elected official co-applicants to either increase the percentage of affordable residential floor area, or set aside a certain percentage of affordable housing units for households earning at least 60 percent of the AMI. MAS supports the ERFA plan, a community-driven initiative that would provide much needed contextual protections in Sutton Place maintain its low- and mid-rise character. The proposal also adds much needed affordable housing and community facilities to the area, and would employ design standards that are consistent with the existing neighborhood. While we strongly recommend that the City coordinate with the applicants to find more extensive affordable housing incentives, MAS urges the City to accept the EFRA proposal and work toward a sensible plan for properly regulating new buildings that cast our neighborhoods in shadow, obstruct views, and forever alter our skyline.